So you’ve got a bunch of wireless security cameras. Now what? How do you hook up all of your cameras to your PC and record footage from your new security suite without wasting all of your processing time, memory, and hard drive space? In this article, we’ll discuss some of the best security camera software for PC and some of their setup features in order to get the most out of your surveillance security cameras. ContaCam is free, simplistic and lightweight. While some of the default settings are a bit weird (it saves as SWF until you change it, which means you get less than 9 minutes of video in many cases) it’s perfect for most home office use. Because it’s free, you get to spend more money on cameras and lights. ContaCam comes with support for six languages, including English, German, Italian, Vietnamese, Russian and Bulgarian. It’s got an ultra-snazzy mp4 encoder that keeps files nice and small and can e-mail you daily to let you know it’s still working. It should be compatible with most cameras, but it specifically works with webcams, WDM and DV cameras and IP devices. ContaCam’s simple interface, smooth performance and incredibly low cost of $0 make it a perfect choice for anyone with a home system or simple business system. While it doesn’t have the fancy features that iSpy provides, it’s a lot easier to use, meaning it’s better for people who don’t want a complicated setup. iSpy is free, open-source, and loaded with lots of features. While it’s not as simple and lightweight as ContaCam, it can accomplish much, much more. It supports every kind of camera known to the internet. A paid version, the Scout, is available, featuring better GPU optimization and remote access, letting you hook up to your camera network from anywhere. Even without the subscription, iSpy still features remote microphone access, easy upload of videos to your favorite web services (including YouTube, Google Drive, and Dropbox), remote commands (so you can turn cameras on or off from away), custom movement detection, and social media, phone and e-mail alerts. If you’re not intimidated by the mess of features and you’re willing to navigate the slightly more complicated user interface, iSpy is perfect for you. The feature suite rivals even the best-paid platforms. A subscription is only necessary if you want to watch your cameras from afar, but it’s not terribly expensive at about $8 a month for one computer worth of cameras. Unlike free open-source offering, Security Monitor Pro is supported by a dedicated team of programmers who work to keep things as simple and easy to use as possible. 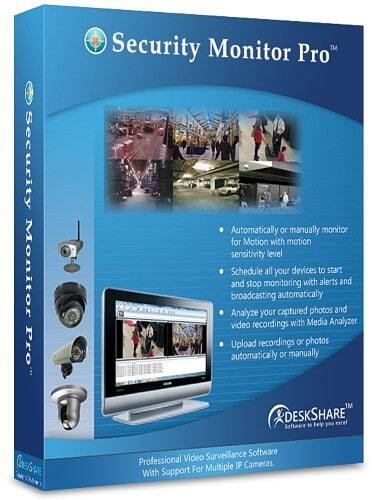 It’s got a powerful suite of features that allow you to morph your PC into a surveillance hub. The motion detection and alarm features are top notch, enabling you to set individual notifications and motion detection regions for each camera. You can also use sound to trigger recording or alerts, giving you, even more, control. If you’re on a shared PC, Security Monitor Pro is definitely worth a look — it has a “stealth mode” which hides it completely from other users of your computer. No taskbar icons or nothin’. 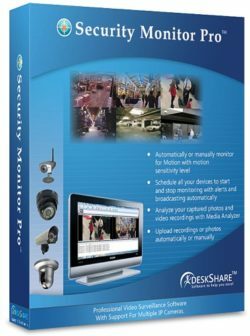 For users of shared PCs, Security Monitor Pro is the best choice — if you want to hide your surveillance from other computer users. For people where this isn’t a concern, the primary advantage over iSpy is the simpler and more intuitive user interface. Whether this is worth the $90 price tag is up to you. 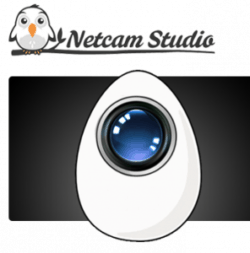 Free for home use with a limited number of devices, Netcam Studio offers support for virtually every camera and comes loaded with advanced features like license plate detection, audio triggering, cloud sync, and e-mail notification. 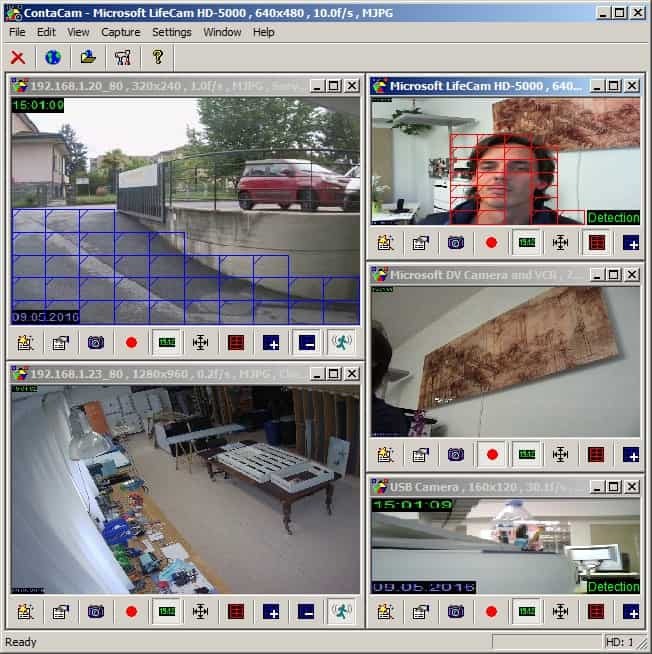 It’s got an advanced internal scheduler and allows you to view your cameras remotely with HTML5. The free version of Netcam Studio supports up to 2 input devices and puts a watermark on your recordings. The cost of a license varies with the number of input devices you’ll need: 4 devices is about $50 while 64 is near $100. The low number of allowed devices means that Netcam Studio’s free version isn’t great unless you’ve got a super simple setup — but if you do, it’s pretty snazzy. 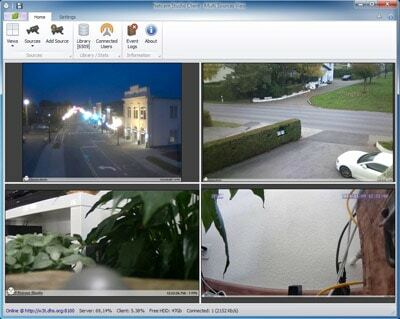 If you want to view your two camera network from outside of your home, it’s a perfect choice. The paid version is competitive with all of the other options for business use or for use with complex networks. Contaware- Does not support PTZ controls!